I am so excited about this three book giveaway from This is Teen and it's just in time for the holidays. 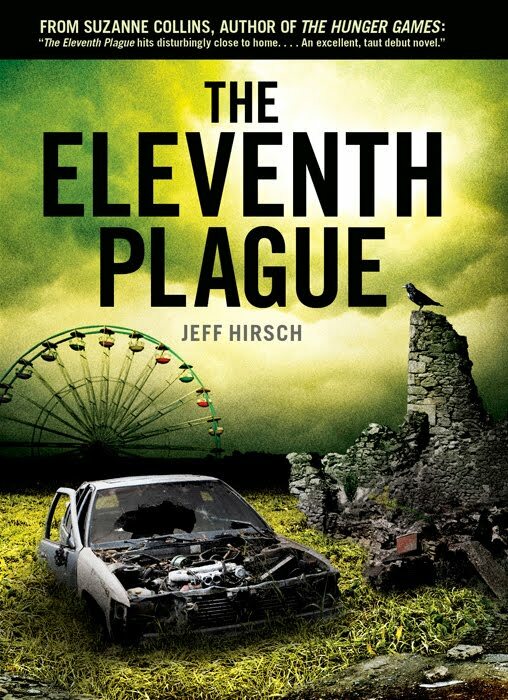 You can win copies of THE ELEVENTH PLAGUE by Jeff Hirsch, iBOY by Kevin Brooks, and UNDERDOGS by Markus Zusak (yes -- the author of THE BOOK THIEF!). Unfortunately, I haven't had a chance to read any of these books yet, but I think they all look terrific.. and I'm sure that any young adult would appreciate adding these to their collection! For those of you who aren't award of This is Teen, you are definitely missing out. This is Teen has some fabulous books and their website is a great resource for young adult books. Just to give you an idea of the wonderful books that they promote, here's a few: BEAUTY QUEENS, The HUNGER GAMES books, The SHIVER Trilogy, and many, many more. The This is Teen community was created so readers can connect with their favorite authors, books, and each other. Make sure you "like" their Facebook page so you can keep up-to-date on the new releases! Summary: In an America devastated by war and plague, the only way to survive is to keep moving. Summary: What can he do with his new powers — and what are they doing to him? Summary: Before The Book Thief, Markus Zusak wrote a trilogy of novels about the Wolfe Brothers: The Underdog, Fighting Ruben Wolfe, and Getting the Girl. Cameron and Ruben Wolfe are champions at getting into fights, coming up with half-baked schemes, and generally disappointing girls, their parents, and their much more motivated older siblings. They're intensely loyal to each other, brothers at their best and at their very worst. But when Cameron falls head over heels for Ruben's girlfriend, the strength of their bond is tested to its breaking point. Thanks to the fine folks at This is Teen Books, as well as Big Honcho Media, I have a set of these three books -- THE ELEVENTH PLAGUE, iBOY, and UNDERDOGS to share with one lucky reader. To enter, just fill out the form below before Monday, December 5th at 11:59 p.m. ET. I will randomly select and notify the winner the following day. This contest is open to those of you with U.S. addresses only. Good luck!